Andreas was born in stockholm, Sweden 1985 and had an early interest in playing the piano. Music has always beeing a big part of his life and around 2010 he got more in too the edm scene and specially trance music. It was´nt until spring spring 2015 he got in to production when a friend introduced him to FL studio and today he is trying to find and improve his own sound. 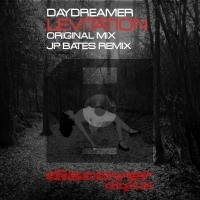 Daydreamers goal is to produce dreamy, emotional uplifting trance influenced by producers like Photographer, Matt Bukowski and Dreamy Dawn.